Generational lines are often blurred. I’m a Millennial for sure (minus the part where I'm supposed to be uber entitled), and by Pew Research’s standards — anyone born between 1981 and 1996 — I definitely make the cut. Some sources, however, say I missed the Gen Y boat and am part of Gen Z (which, up until this point, I thought were a separate set of humans sailing way off in the distance). But enough about my identity crisis — for those who feel like they were left off both the Gen X and Millennial life rafts and are floating somewhere between tech-savy opportunist and glum grunge-listener, there’s finally a name for you: Xennials. Xennials make up a "micro-generation" born at the tail end of Gen X and the beginning of the Millennial era, roughly between 1977 and 1983 (though some sources have extended the cutoff to 1985). Xennials grew up without cellphones but are still social media savy. By the time 9/11 happened, they were already in or out of college and were well into the workforce before the Great Recession. They saw the music industry evolve drastically from cassettes to CDs, then music services. And, as BuzzFeed notes, Xennials were old enough to wholeheartedly love Nirvana but too young to know the struggle of Wite-Out and typewriters. They also didn't idolize Disney Channel stars from "Lizzie McGuire" or "That's So Raven" (*gasp*). The term Xennial was first used by GOOD Magazine in 2014. "Those of us born in the fuzzy borderland between Gen X and Millennial are old enough to have logged in to our first email addresses in college," Sarah Stankorb, born in 1980, wrote for the magazine. "We use social media but can remember living life without it. The internet was not a part of our childhoods, but computers existed and there was something special about the opportunity to use one." Three years after the article that started it all, Stankorb actually created a handy online quiz to help you figure out if you're one of the Xennials. One Metro reporter, though born in the first Xennial-qualifying year of 1977, said she still sails on the Gen X boat (and yes, grunge was mentioned). 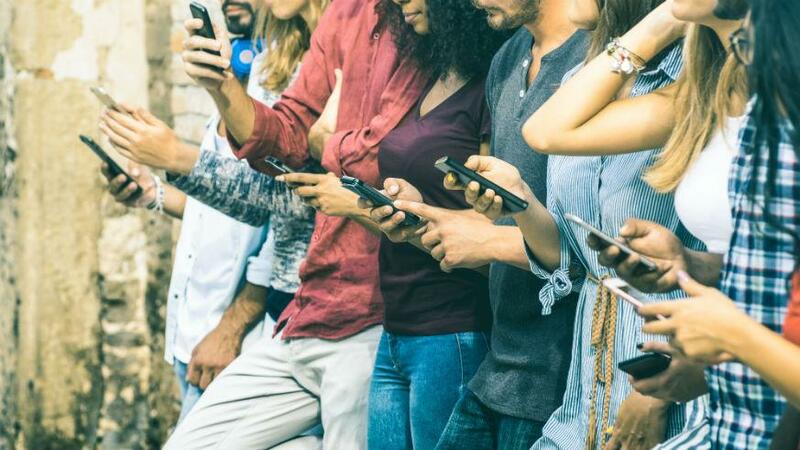 "We kind of ran rampant because we were pretty much the last generation to not have cellphones and fairly limited parental supervision," she said of the post-boomer generation. "And don't get me started on MTV, that life-changing invention, and then grunge!" But for those of you who don’t have a clear path and feel like you're swimming without any generational boat in sight — either due to personality traits or personal interests — you may call yourself Xennials from now on (we've got a raft just for you). "We were born in the quiet break between two generational moments," Stankorb concluded. "Between the out-all-night dark horse Gen Xers and the-sunny-still-somehow-optimistic Millennial, there we were. We were born at dawn."